Land the right aircraft or helicopter solution. At Fidelity Finance Group, we can finance a range of commercial aircraft, whether you want to buy a small single engined Cessna or buy a helicopter. We can also handle complete financing of full re-powers or re-builds. We take the time to visit you and offer a complete service. Also, if you're buying an aircraft from overseas we can also arrange Import/Trade aircraft finance (ie. Letter of Credit) if required. Our aircraft finance solutions can range from traditional finance like Commercial Hire Purchase (CHP) to aircraft lease programs. We can also arrange facilities in US dollars, and on a variable interest rate structure, whatever will work best for you. To process your application efficiently, we take the time to visit you to understand your business, so you won't be waiting in queues. We'll manage the whole aircraft finance process, so we won't leave your aircraft finance application floundering in a holding pattern. Then once your loan or aircraft lease is approved we'll manage settlement and payment to the supplier. With over $350 million financed annually, we've massive buying power with over 20 leading financiers, so we can spread your aircraft finance across different institutions. Whether you're buying a helicopter or buying an aeroplane, in 99% of cases the aircraft will serve as the loan's collateral without requiring residential real estate as security. Helping your business take off. 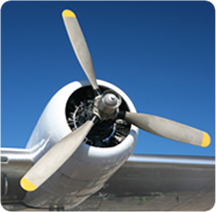 We provide finance solutions geared not only to your chosen aircraft but suited to the cashflow of your business. When you're buying an aircraft Fidelity Finance Group can even obtain a pre-approval for a 'hypothetical' aircraft. Then you can shop around with greater confidence and increased bargaining power. Once you find the perfect aircraft, you place the order, we pay the supplier, you collect the aircraft, it's that simple. Enquire now. We are delighted to seek approvals as over 85% of them are taken up by clients, click here or phone +61 (2) 9212 0799 to talk with our aircraft finance specialist.